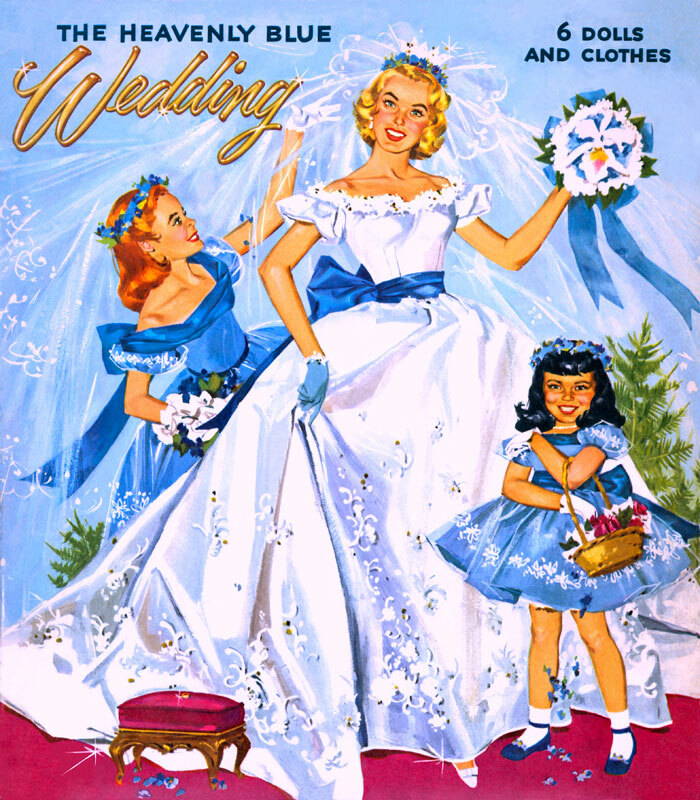 Fads and fashion came together for the first time in the 1950s. 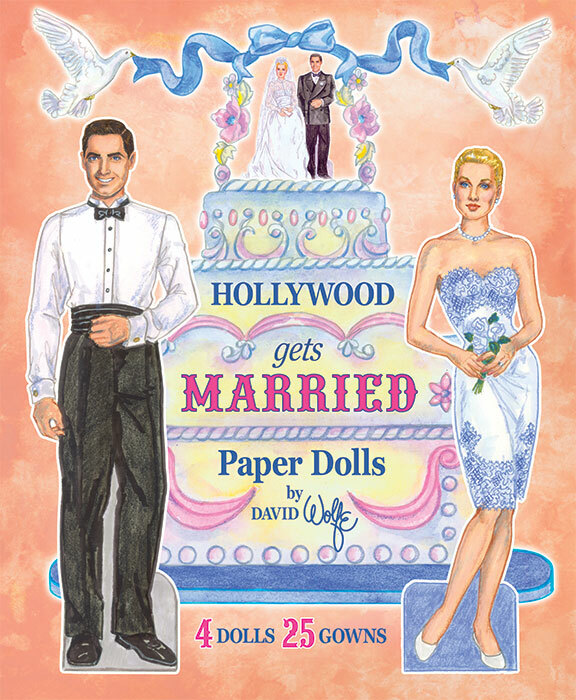 Undulating in hula hoops, bopping to rock ‘n roll, drag racing and shopping for the latest fad, teen-agers took over and created their own pop culture that influenced the world. 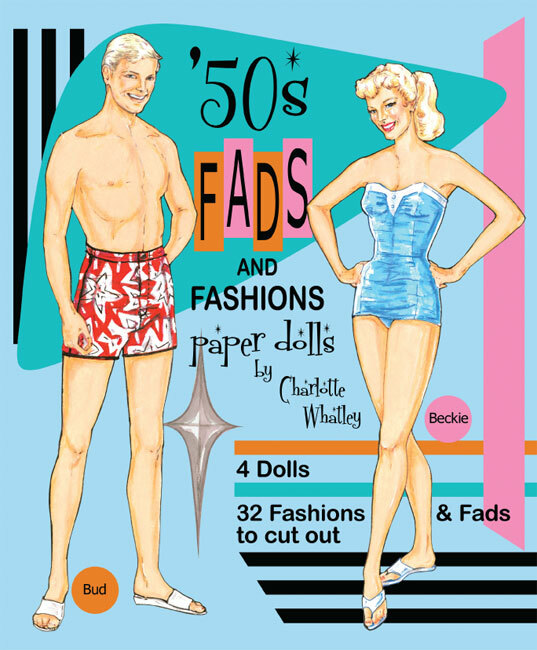 Artist Charlotte Whatley has cleverly incorporated 50 fads of the 50s into 32 fashion items in this new paper doll book from Paper Studio Press. 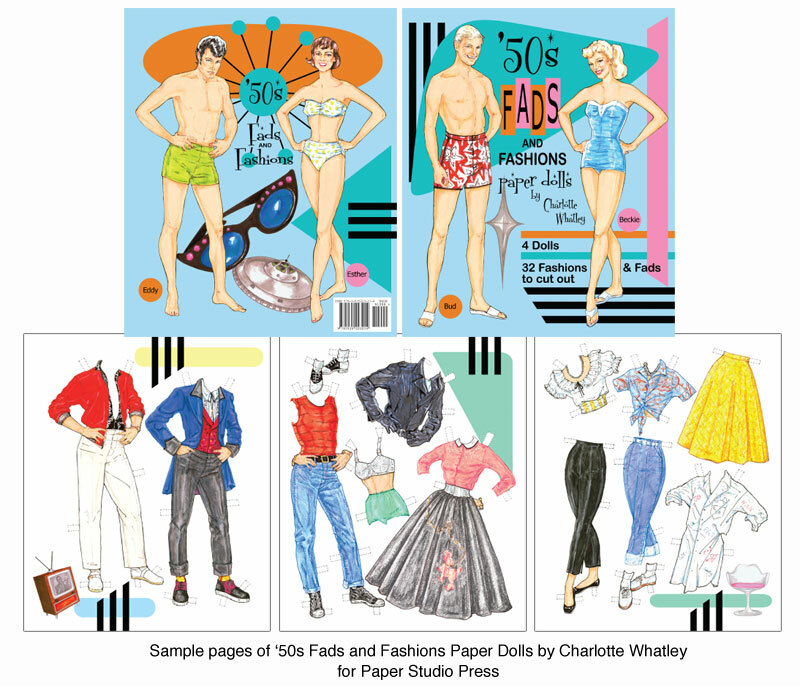 Two couples, Bud & Beckie and Esther & Eddy, have a wardrobe of memorable 50s fashions, complete with everything from pencil skirts and penny loafers to letter sweaters and leather jackets. And, like real sisters or best friends, the two girls can share clothes! 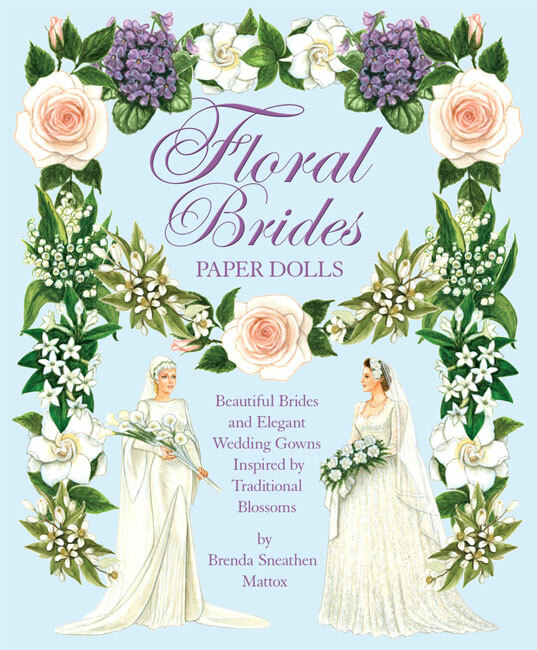 A fashion essay by David Wolfe is included along with a fun fashion quiz.